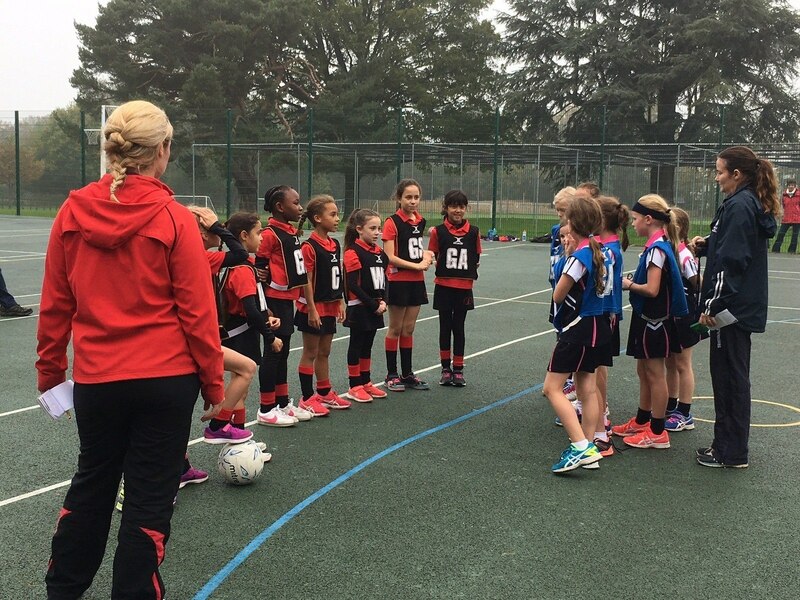 This week the U9A netball team took on Great Walstead, our captain this week was Talia. Great Walstead had the first centre pass and quickly scored the first goal of the game, the Walstead girls were tall and quick, and we were going to be in for a good match. Tianna then took her centre pass and the ball moved quickly to Rachel who scored Copthorne’s first goal. All girls from both teams continued to move the ball well and move quickly into space ready to receive their next pass. A great interception from Talia led to Copthorne having the slight edge with Bethany scoring Copthorne’s 2nd goal to bring the score to 2-1. After a positive team talk it was now time to fight for the ball and the girls did not disappoint! They played with energy and accuracy making every pass count and were first to any loose balls. Further goals came from both Bethany and Rachel who once again worked brilliantly in the circle together. Talia and Tianna were interception machines while Bella and Priya were making great space. The score at half time was 6-3 to Copthorne. During the 3rd quarter a little bit of nerves crept into the game and Walstead were now fighting for the ball. The score was now 6-6! The girls now had everything to play for in the last quarter and were determined to give their all. Once again they had fight in their game and were working well as a team. Brilliant goals came from both Bethany and Rachel to bring the final score to 10-8 to Copthorne! All girls showed a great determination and stayed positive throughout. What a fantastic game! A very proud coach! Players of the match were Talia and Tianna. Well done to Ruby, Anna, Talia, Priya, Tianna, Bella, Rachel and Bethany.